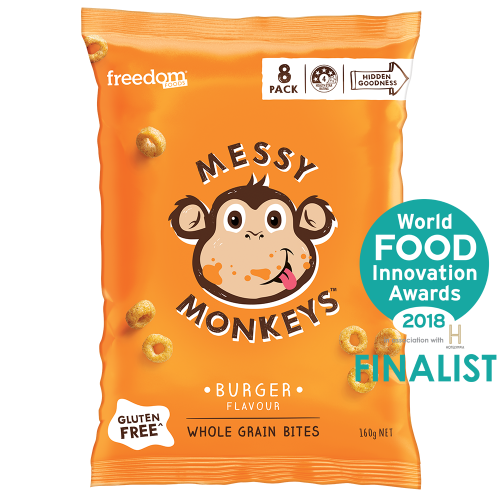 ^ At Freedom Foods we have a rigorous process to ensure our raw ingredients are free from gluten as found in wheat, rye, barley and triticale. Additionally, we test every batch of finished product for gluten as found in wheat, rye, barley and triticale. 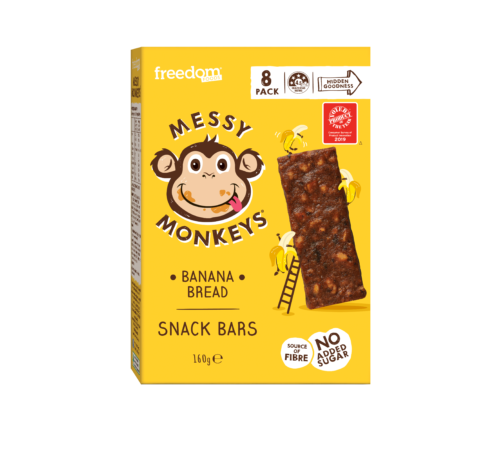 From time to time we make improvements to our recipes, which may result in changes to the ingredients list and/or allergy advice from that stated on this site. We always update our packaging to ensure it is accurate and aim to keep this website updated with the latest information about our products. For this reason we are unable to accept liability for any incorrect information on this site. 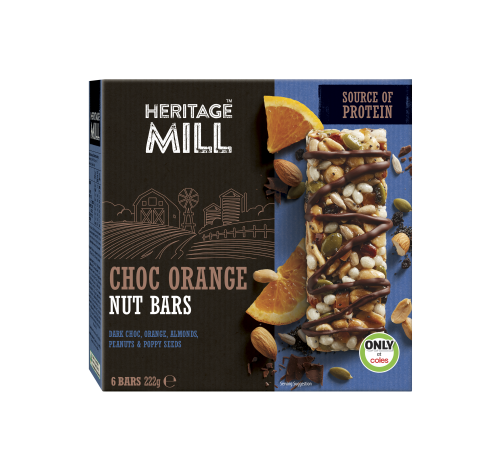 If in doubt, we advise our customers to read the label on the pack before eating our products and never rely solely on the information presented on this website. If you require specific advice on any Freedom Foods product, please contact our Customer Service team on 1800 646 231, we will be happy to answer your questions. Could they be the world’s first guilt-free potato chips? Our slow-cooked chips are made with just two ingredients, neither of which are salt. Potatoes and sunflower oil, that’s it.They’re simple, tasty, and are perfect for anyone looking to reduce their salt intake whilst still enjoying a treat. I have found my new favorite . Hands down the best chips tasted in my 55yrs . The taste is so good , you don’t even miss the salt . Here here to the New Champ.! These are fantastic- I find most crisps inedible because of the over-flavouring and over-salting. But the real dilemma is finding them in any store. Where can they be bought in SA? These are my favourite chips on the market – but I haven’t been able to find them in Metro Sydney for the last 3 years! These are the best chips we have tried love them and salt free as well. Well done Freedom great product. Definitely five stars. Whoops! I would’ve given it 5 stars but the page didn’t load properly on my phone and I couldn’t see the fifth star! Definitely a 5 star product. 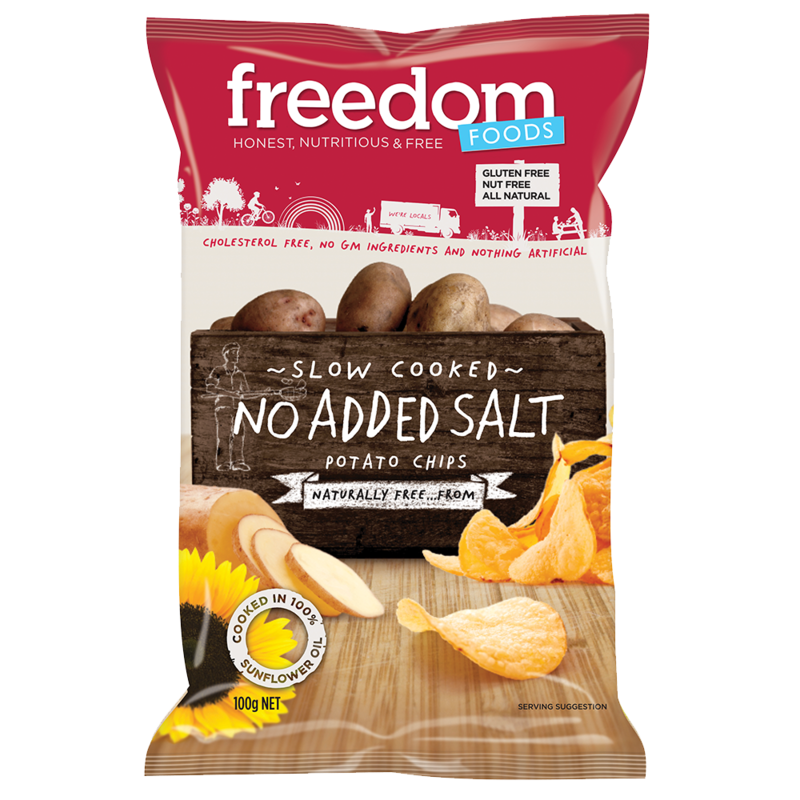 Absolutely wonderful product, there is virtually no scope for people on low sodium diets to eat potato chips – these taste wonderful! And with the addition of low sodium potassium salt sprinkled over them, you wouldn’t know they weren’t real salted potato chips! These are the best no salt potato chips on the market! Very fresh and yummy.